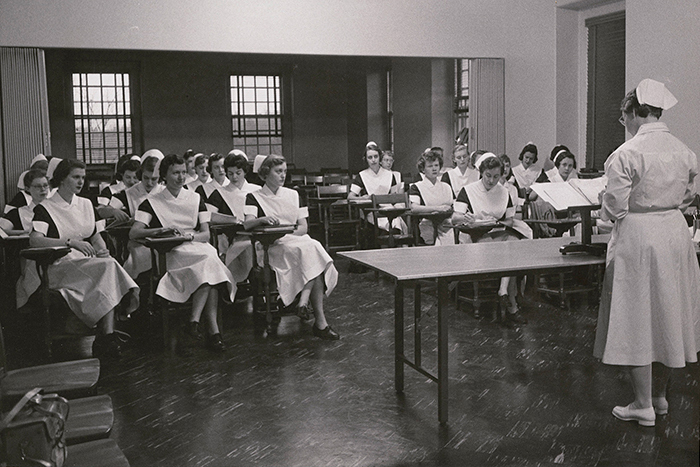 A nursing class in session at Emory’s School of Nursing in the 1960s. Image: Emory University Photograph Collection. 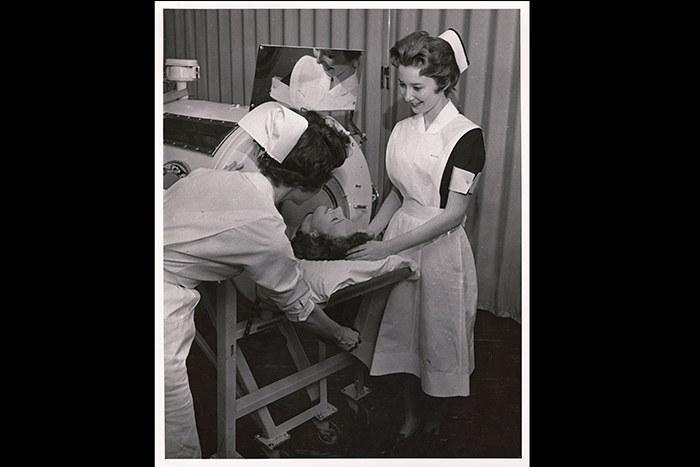 Nurses around an iron lung device in the 1960s. Image: Emory University Photograph Collection. 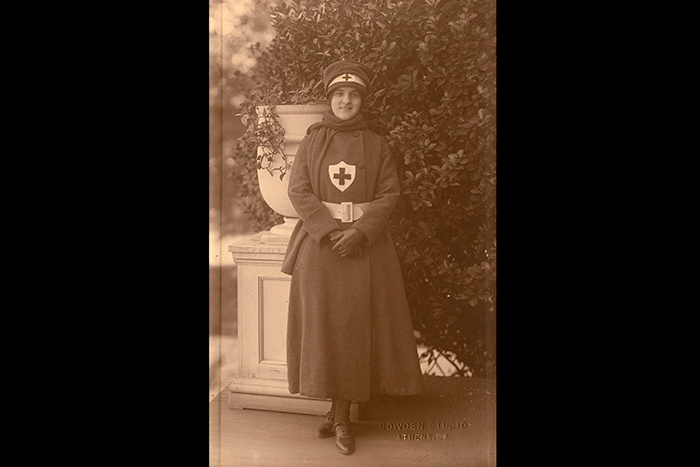 Nell Hodgson Woodruff in a Red Cross nurse aide uniform, circa 1918. Image: Nell Hodgson Woodruff papers, Stuart A. Rose Manuscript, Archives, and Rare Book Library. 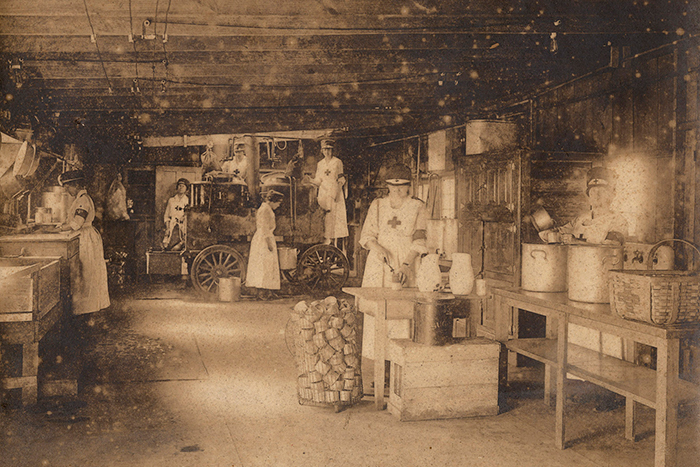 Interior scene of a Red Cross hospital (circa 1918. Image: Nell Hodgson Woodruff papers, Stuart A. Rose Manuscript, Archives, and Rare Book Library. Three nursing students at the Nell Hodgson Woodruff School of Nursing practice caring for a patient in this 2012 photo. Credit: Emory Photo/Video. 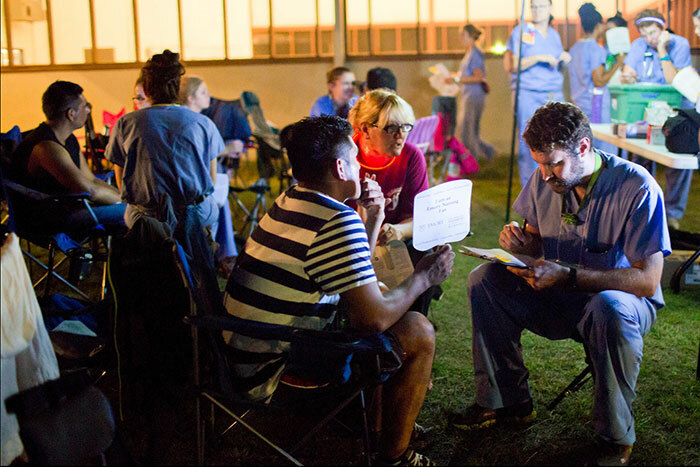 Emory School of Nursing students and faculty conduct health screenings in Georgia in 2015 as part of the Migrant Farm Worker Family Health Project, a program through the Lillian Carter Center for Global Health & Social Responsibility. Credit: Emory Photo/Video. 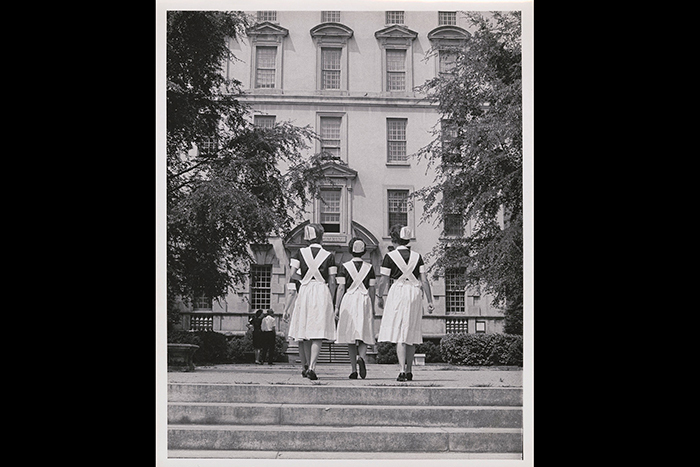 Artifacts and archival documents bring an Emory perspective on nursing to life in "To Care for Others: 100 Years of Nursing at Emory." The exhibit, which opened April 22 at the Woodruff Health Sciences Center Library, explores Emory’s nursing program through the past century, from its original 1907 graduating class of 10 to the worldwide impact of Emory nurses today. The materials also shed light on the development of medical instruments and the contributions of influential nurses to the profession. The display features such artifacts as a Civil War-era stethoscope, reproductions of Florence Nightingale’s letters held by Pitts Theology Library, and a medical journal from World War I kept by Nell Hodgson Woodruff, the woman for whom Emory’s Nell Hodgson Woodruff School of Nursing is named. Visitors will learn about the evolution of societal views towards the nursing profession, from the "dark period" when nurses lacked formal training and were perceived negatively by the public to the high level of respect they receive today. 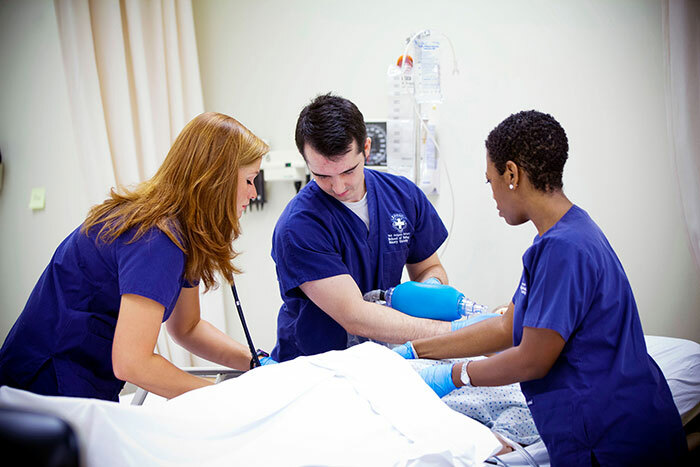 "For the last several years, the Nell Hodgson Woodruff School of Nursing has solidified itself as one of the leading nursing schools in the country. We wanted to show our pride in the school with an exhibit on its history," says Woodruff Health Sciences Center Library archives coordinator Clayton McGahee. "Many of the nursing students come through the library every day," McGahee notes. "I hope the exhibit gives them a new perspective on their profession and how far it has come." The exhibit will be on display until Jan. 31. The Woodruff Health Sciences Center Library is located at 1462 Clifton Road.